If you are considering listing this spring, now is the time. 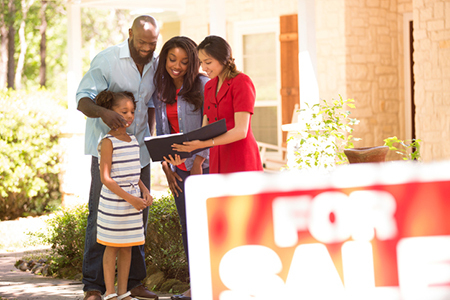 May is the best bet for home sellers, according to an analysis by ATTOM Data Solutions, which found that the average seller gains 5.9 percent more than market value—the highest of all months—in the fifth month of the year. June is profitable for sellers, as well, with an average 5.8 percent premium, with June 28, pointedly, reeling in 9.1 percent—the best day of the year. May 29 and May 31 are also high-returning, with an 8.2 percent premium and an 8.3 percent premium, respectively. For homeowners, the key is timeliness. According to the analysis, the advantage drops off sharply after June, with a 3.8 percent premium in July, a 4.2 percent premium in August, and back down to a 3.2 percent premium in September. Through the remainder of the year, the average seller earns between 1.6 percent and 2.6 percent over market value—considerably less than had they acted during the May peak. The analysis findings’ are reminiscent of spring 2017, when May 1 through May 15 was found to be the ideal listing window. The difference now is that inventory is tighter—down 7.2 percent year-over-year—and, although homeowners are getting multiple offers, there is the burden of buying another home at the record prices they are today. Still, it is a seller’s market, and the numbers have it: In the first three months of 2018, the average seller recouped 29.5 percent, or $53,369 at resale.